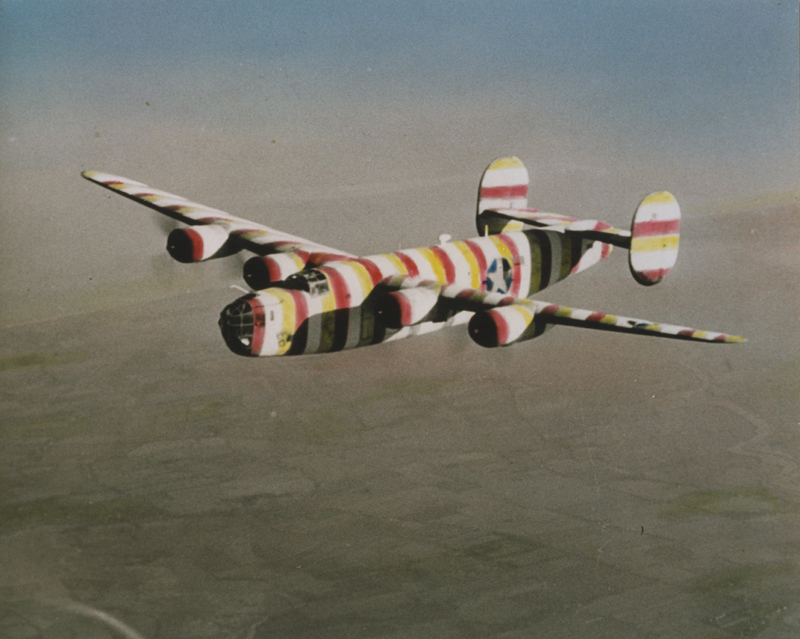 A B-24 Liberator (serial number 41-23667) nicknamed "Ball of Fire (Barber Bob)" of the 93rd Bomb Group used as a flight assembly ship. Assigned to 330BS, 93BG, 8AF USAAF. Waist gunner S/Sgt Arthur L Crandall made the 8AF first kill when he downed a Fw190 on 9-Oct-42. War-Weary became group's assembly ship decorated with multicoloured stripes hence the Barber's influenced renaming.